Sometimes just getting out of the house with Tammy can be a chore and last night was no different. Originally we were sposed to meet some friends for dinner around 6 p.m., but us not getting home from running errands until after 5 put that in jeopardy, especially considering it was a 20-minute drive to the restaurant. Tammy texted her friend around 4:45 to let her know it’d be more like 6:30 before we would be there. When Tammy wanted to crash on the couch “only for a few minutes” to try and recharge for the night’s festivities, I knew we were in trouble. I figured it’d be hard for Tammy to get up and start getting ready, but that was actually the easiest part. I wasn’t going to say anything about her needing to start getting ready because I’ve learned it’s better to be late. 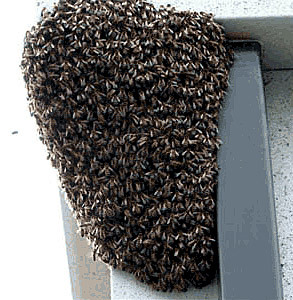 What’s the old saying about not stirring up a hornet’s nest? 5:45 p.m.: Tammy heads to her “closet” to start getting ready. 5:56 p.m.: Saw Tammy go down to the basement. 6:09 p.m.: Went downstairs to check on Tammy because I didn’t see her come back upstairs. She was trying on some pants Ashlee left. Tammy: I don’t think I can wear these. They are too big and baggy. Me: You’re right. They look comfortable though. Tammy: Oh they are, but they are too long. Don’t you think? 6:13 p.m.: Tammy comes back upstairs. 6:19 p.m.: Walks into our bedroom in a pair of jeans and a bra while mumbling. Tammy: I don’t have anything to wear. 6:25 p.m.: By this point I’ve been completely dressed and sitting at the table for several minutes when I noticed the time. Me: Are you dressed yet? Me: It’s 6:30! We gotta go. 6:37 p.m.: Tammy walks into the bathroom, fully dressed, to start working on her hair. Tammy: Did you turn this (hair straightener) off? Tammy: Oh, then it turned by itself. 6:40 p.m.: Tammy’s back in her closet so I went to check on her. She looked up at me as soon as I stuck my head into the room. Tammy: Don’t look in here (her closet room), I ruined it and I’m pissed because I’m gonna have to spend all day Saturday fixing it again. 6:45 p.m.: She finally is ready to go and comes out guns blazing. Tammy: Alright, let’s F’n go. I told her I thought she looked good which, of course, she didn’t agree with. She texts her friend that we are on our way. As we pulled out of the driveway I looked over at Tammy and gave her another compliment. Me: Your hair looks long. Tammy: That’s because I haven’t let Kristin (who owns Salon Mackk) cut it. Me: It looks like you got the weave in. Tammy: Awww… that’s the nicest thing you’ve said to me in a long time. Note to self: I gotta start complimenting Tammy more. On the way there she starts telling me about how she didn’t like the jeans she was wearing but liked the jeans her friend wore and wanted to find out where she got them. Me: Did you see that sign? Me: It was for Two Fat Guys BBQ sauce. I bet its good. If it was just one fat guy it’d be OK, but TWO fat guys makes it awesome. I couldn’t tell if Tammy thought it was funny or not because she just shook her head like she usually does. We eventually made it to the restaurant and met up with our friends, Sheila and Dave, at The Snuggery. It didn’t take long for Tammy to ask about her friend’s jeans, which she bought at Buckle. As we were wrapping up dinner some of Sheila’s friends (Petey, Sandy and “Uncle” Whitey) showed up and we moved to a bigger table. Petey, who had just finished playing golf, was the more outgoing of the group and at some point he asked if I knew someone. Petey: Do you know Tim Javitus? Me: No, but I know Gin Givitis. Petey: (laughing) I like this one. But I know he’s never been in jail because if he’d been to jail he’d know Tim. At some point during the night the waitress showed up with three glasses of shots and put them in front of the girls. Tammy, who isn’t big on shots, quickly passed her glass to me. I asked what the shot was and was hesitant when I found out it was a Jäger Bomb. Me: I’ve never done one of these and I don’t know that I want to because these things make ya mean. People starting laughing Tammy tried to explain. Tammy: I had a friend who would get really mean when she’d do Jägermeister. I “reluctantly” took the shot. At some point in the night Petey and Uncle Whitey picked up on my Southern accent, which really comes out when I drink. Petey: Where are you from? Petey: (holding his hand up) Wait! Don’t tell me. Arkansas? No, Mississippi. Me: I practically gave it to you. You could pretty much rule out Michigan. When Uncle Whitey, who looked like a young Robert Redford, heard I was from Mississippi he chimed in. Uncle Whitey: You sound like you might be from around Ripley or Dumas. Uncle Whitey: Ahhh, Tupelo. I’ve been there. I’ve got family that lives in Ripley. Over the next 20+ minutes we talked about his trips down to Ripley and his family. He told me his uncle owned a body shop in Ripley so I decided to see if my uncle, who currently lives in Ripley knew him. Sure enough, he knew him AND where the body shop had been moved to. We even connected over music and Tammy was more than thrilled when Uncle Whitey said he liked Sammy Hagar better than David Lee Roth because she’s been looking for someone to replace her at Sammy concerts for the past few years. Plate of Cheetos or Uncle Whitey’s lap? Despite all of the connections we had, it was Uncle Whitey’s comments about manscaping that will forever be burning in our brains. Uncle Whitey: If I don’t trim up “down there” it looks like someone dumped a bag of Cheetos in my lap and nobody wants to see that. Gallery | This entry was posted in Daily Life and tagged daily life, drinking, friends, Fun, humor, Tammy. Bookmark the permalink. Statistically, girls named Tammy are third on the list of perpetual lateness, as judged by the Harrison/Svengold scale of societal tardiness. This fact was brought to light during the critical study into the effect of time dilation on cultural preparedness done by Rothbergerstein in the early 70’s. But it wasn’t until later that Dr. Rothbergerstein combined his research with Dr. Horseshoer of the Rotterdam clinic, and by factoring in the difficulty of picking out just the right shoes to go with that dress, and then they took this and cross referenced the data with the groundbreaking study undertaken by Dr. Soose of the University of West Cresterfield, bioflow data dept., who was simultaneously doing research into names, and their effect on social responsibility and pack-harmonics, that they compiled their comprehensive database, which was finished only recently by Harrison and Svengold, on just which women were going to leave us waiting the longest. That’s hilarious but it definitely explains a lot. We cannot fight our nature. Hey Pouring, Just saying, I would totally skew that study. I am compulsively punctual! However, I can’t spell worth a damn after the third glass of wine. Or before them! 😦 Fun post J-Wo! Guess it’s true what they say… There’s always an exception to the rule. I’m not sure anyone wants to see that lap after the manscaping. Yowza. 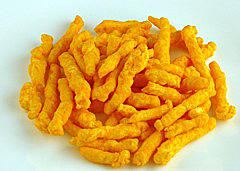 Thanks for ruining Cheetos for me. I don’t need to eat them anyway. He was so serious when he was talking about it but Tammy and I were laughing so hard our stomachs hurt.